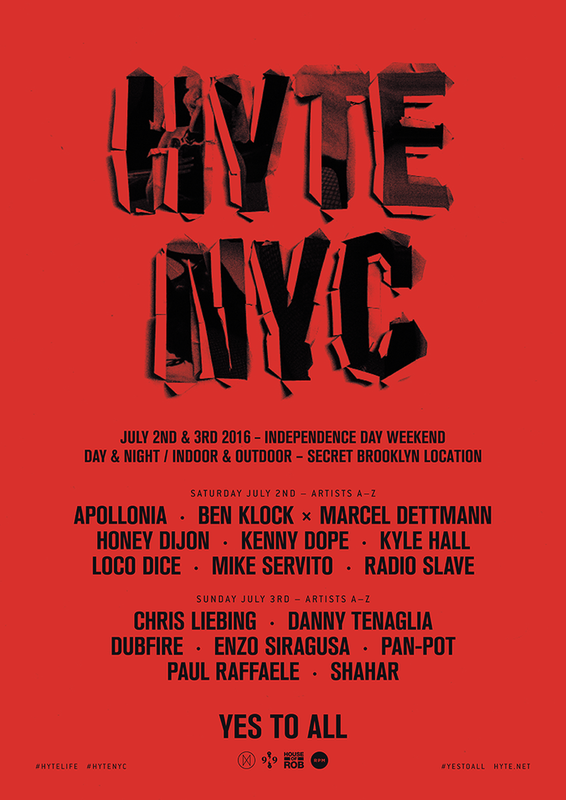 HYTE Festival will be coming to Brooklyn this 4th of July Weekend for the third time. The event is an awesome two-day festival that goes from 4pm until 6am both nights at a secret Brooklyn Location. The event will combine indoor and outdoor experiences as well as dancing from the afternoon until sunrise the next morning. General Admission, VIP and Single Day Passes are all available here or here. This is a crazy experience and definitely not something you want to miss. If you would like to see Armin va Burren the night before (Friday, July 1st), you can head here for tickets.